The Oakland Raiders might very well remain home for at least one more season. With all the hoopla surrounding a temporary location outside of Oakland due to the city filing a lawsuit against the Raiders, most figured the team’s days in that city were over. 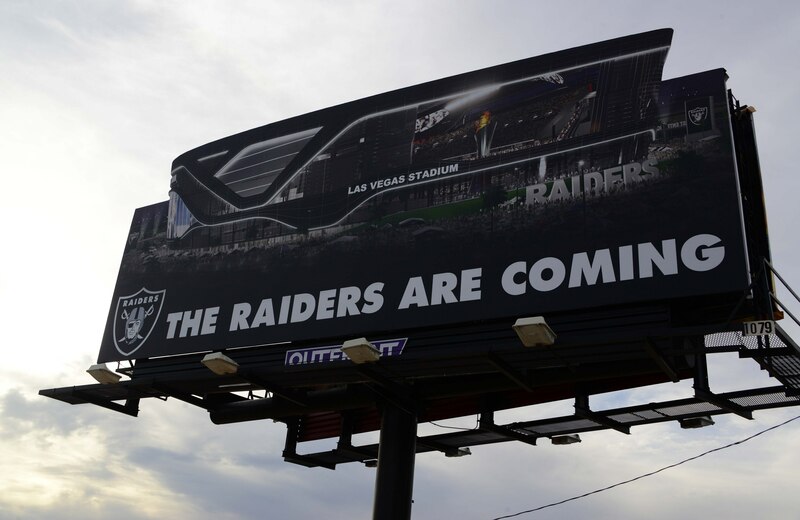 Already set to relocate to Las Vegas for the 2020 season, reports surfaced that both Levi’s Stadium in Santa Clara — home of the 49ers — and MLB’s San Francisco Giants’ venue could be possible temporary digs for the Raiders. All the while, those in charge of the Oakland Coliseum have offered the team a one-year lease extension. According to the odds-maker Bovada, Levi’s Stadium and Oakland Coliseum are favored to host the Raiders next season. They are followed in line by AT&T park (now Oracle Field) in San Francisco. Given that the 49ers have territorial rights over San Francisco, it doesn’t look like that’s a solid option for the Raiders. We can pretty much throw that one out the window. This leaves us with the two Bay Area teams potentially sharing a stadium in Santa Clara or the Raiders remaining in Oakland. Of those less-likely scenarios, we’d conclude that San Diego makes the most sense. It’s just a couple short hours from a Los Angeles population that still bleeds silver and black. Either way, look for some type of a conclusion on this matter within the next few weeks.